MARROW CELLUTION™ maximizes stem & progenitor cell recovery while minimizing peripheral blood infiltration. Because fluid under force follow the path of least resistance, traditional trocar needles with side ports aspirate primarily through the distal end of the cannula. This leads to excessive blood collection, requiring additional manipulation (i.e. centrifugation or chemical separation in a laboratory). 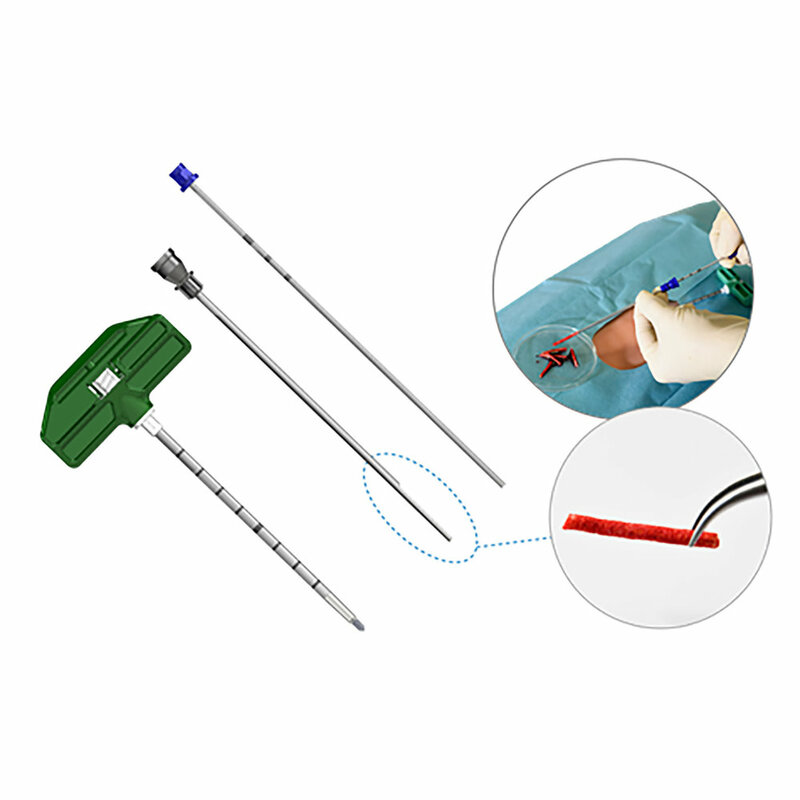 MARROW CELLUTION™ accesses aspirate flow collected exclusively laterally as the tip of the aspiration cannula is closed, allowing marrow collection perpendicular to and around the channel created by the device. It incorporates technology to precisely reposition the harvesting cannula within the marrow space after each aspiration. These features achieve a clinicians' desire for a single entry point. A traditional trocar needle aspirates primarily peripheral blood. MARROW CELLUTION™ aspirates from multiple geographies while limiting peripheral blood collection. An in depth look at the scientific background, features and data comparison. Dr. Scarpone compares the Marrow Cellution techinque to centrifugation and presents his data. *Technique guides and procedural concepts should not be substituted for independent professional judgment of the health care provider. Nov 15, 2017 DOES A SMALL VOLUME ASPIRATE HAVE MORE CFU-F THAN A LARGER DRAW THAT IS THEN VOLUME REDUCED BY CENTRIFUGATION? Nov 15, 2017 WHAT ARE THE LIMITATIONS OF TRADITIONAL NEEDLES AND WHAT IS THE OPTIMAL TECHNIQUE FOR MINIMIZING PERIPHERAL BLOOD DILUTION? Nov 15, 2017 WHAT ARE THE DIFFERENT TECHNIQUES TO ASPIRATE MARROW USING A TRADITIONAL NEEDLE AND WHAT CAN I EXPECT FOR CFU-F PER ML USING SUCH TECHNIQUES? Nov 15, 2017 WHAT IS THE IMPORTANCE OF CFU-F COUNTS COMPARED TO NUCLEATED CELL COUNTS? Nov 15, 2017 DO I NEED TO FILTER SPICULES FROM MARROW AFTER ASPIRATION AND ARE RED CELLS A PROBLEM? Nov 15, 2017 WHAT IS THE OPTIMAL SYRINGE PLUNGER TECHNIQUE AND SYRINGE SIZE TO OPTIMIZE THE RECOVERY OF MARROW DURING ASPIRATION? Nov 15, 2017 IS THERE A RELATIONSHIP BETWEEN DIFFERING VOLUMES OF BONE MARROW ASPIRATES AND THEIR CELLULAR COMPOSITION? For more information on the patent pending Marrow Cellution™ systems or if you would like speak with a representative, please fill out the form below. Looking to schedule an on site consultation? Please let us know what date and time works best for you and we will do our best to accommodate.